In the Byzantine Rite, services are sung, and the Divine Liturgy, a joining of voices to praise the Lord, is among its most recognized traditions. While much of the sacred music utilized in the Eastern Church is ancient, modern-day composers continue to produce new works. A four-part liturgy celebrating Easter and the Resurrection — created by Father John Sembrat, a Canadian priest of Ukrainian heritage — is the centerpiece of "Resurrection," an upcoming, touring choral concert. 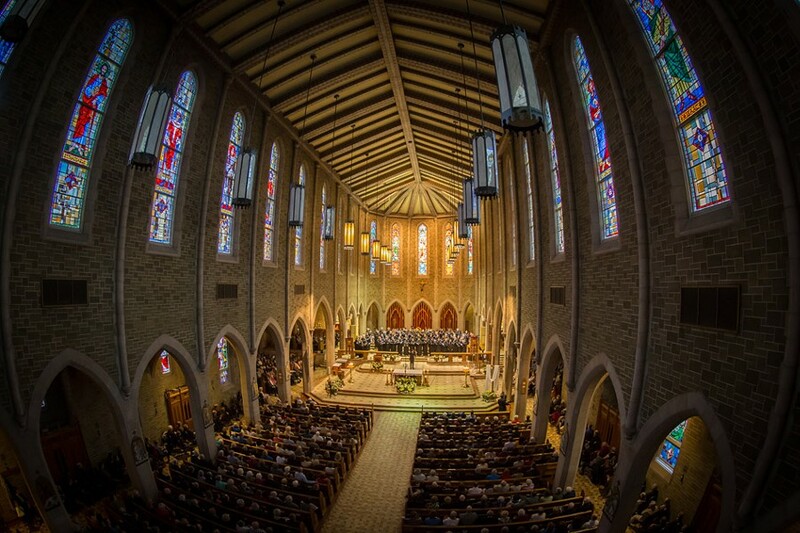 An all-male choir of more than 50 singers and soloists will perform Sembrat's Resurrection Divine Liturgy for Easter Sunday, along with other selections from Bortniansky, Vedel, and Hurko. "Resurrection: Music from the Ukrainian Sacred Choral Tradition" will be performed Thursday, April 20, at St. Michael's Roman Catholic Church, 869 North Clinton Avenue. 7 p.m. $35. For tickets and more information, visit resurrectionalliturgy.com.